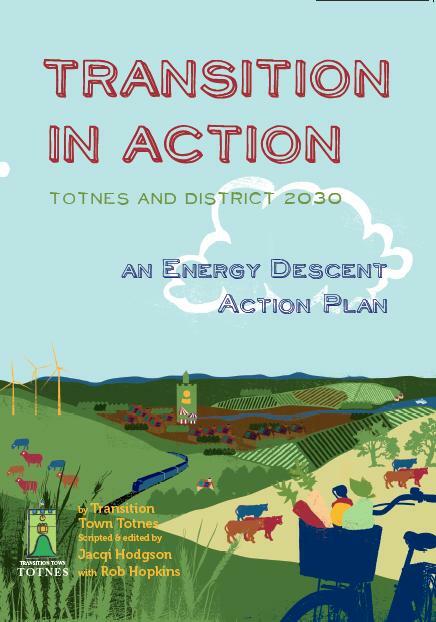 This is a new position of significant responsibility and profile to enable Transition Town Totnes to successfully navigate new terrain and expand its reach and impact through starting the process of implementing its recently launched Energy Descent Action Plan (EDAP). This is a unique opportunity for an entrepreneurial individual of proven professional management capability, ideally with experience of social enterprise creation and community engagement. Job share arrangements would be considered if the right complement of skills and experience are matched. 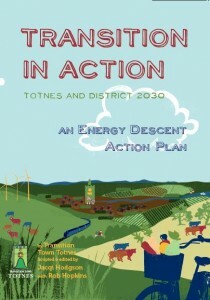 You may view the EDAP online here. Duration: from June / July 2010 for 3 years. Need for flexible hours, being regularly available in evenings. Job share arrangements would be considered if the right complement of skills and experience are matched. To create some ‘universal’ badge designs (which could also carry other messages) but which have the colour identity design of transition morality which broaden-out into other issues associated with intelligent thinking.